Food is one of the attractions of travelling. 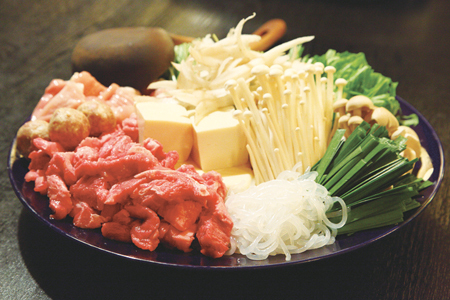 Tsuyama City has some foods that are unique to the city. Please try these foods when you visit Tsuyama City. Bon appetit! 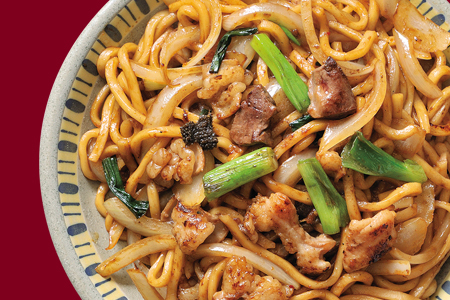 “Tsuyama giblets udon” is a dish that is loved by the people of Tsuyama. Fresh giblets are mixed with a miso sauce and udon noodles and then cooked on a hotplate creating a smell that increases your appetite. If you visit Tsuyama, please try this local meal. This dish is named after the meat which is scraped from the bones of a cow (called “Sozuri” in the local dialect). It has a characteristic rich taste from the soy sauce base, yet has an elegant and refreshing taste. 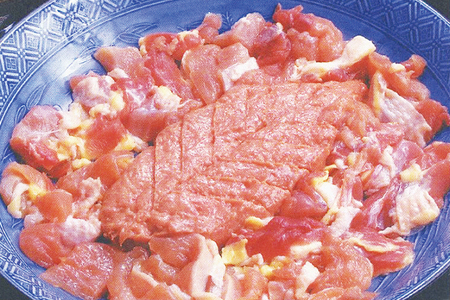 It is said that this dish has its origins in a meal served at hunting grounds which was a favorite of the first lord of the Tsuyama Clan, Mori Tadamasa. The pheasant is separated into the meat and bones, the bones are used to make dumplings from the minced meat and they are put in an earthen pot of broth made from kelp and bonito with burdock, carrots, shiitake mushrooms, etc. and boiled, after which Japanese parsley is added and it is eaten while hot. 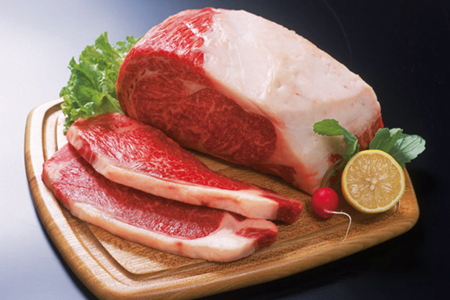 Tsuyama’s new brand “Tsuyama Wagyu”! These Wagyu cows are female Japanese Black Wagyu that are born and raised in Tsuyama, and aged 28 months or more. They are shipped after a fattening period during which they are fed over 300 kg of “wheat bran” made from wheat produced in Tsuyama. A new brand of cake called the “Tsuyama Roll” has been born from the passion of Tsuyama’s cake professionals. 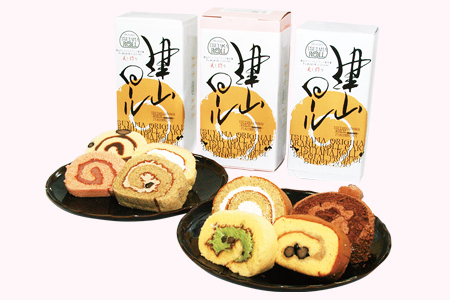 There are eight types of this roll cake made with 100% “Fukuhonoka” wheat produced in Tsuyama.